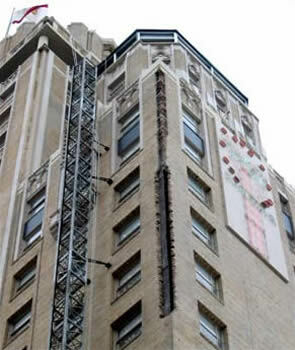 Structural steel repair; masonry restoration of brick and terra cotta. 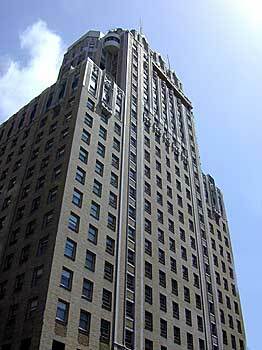 Everest has been hired to repair the brick on this landmark hotel in the Union Square district. Each corner of the building shows significant vertical cracking along the height of the building. Our first task is to secure the brick to eliminate the risk of "falling hazards". Everest is utilizing a new technology that allows us to weld a rod through the brick directly onto the flange of the structural beam. The rod is then bolted to the outside of the brick. Once the brick is secure our next step is to begin removal of the brick to repair the structural steel. Final phase will be to match four different brick styles and replace the brick at each corner. Terra cotta is presently being surveyed.